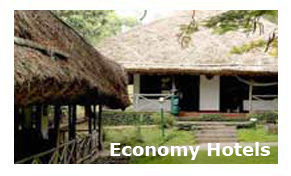 Indiahotelandresort.com offers the online booking for Economy Hotels in Kottayam Kerala. Kottayam is an important as well as popular tourist destination in Kerala. This city is sanctified with natural magnificence and splendors. Kottyaam is surrounded by the Western Ghats on the eastern part and by the Vembanad Lake on the western side. Kottayam is famous for its stunning scenic beauty, lush green vegetation, extended paddy fields, highlands and rubber plantations. Kottyam is tourist delight and it has lots to offer to the tourists. The silence of the backwaters is broken by the chirping of the birds that has made their homelands in the nearby trees of the backwaters of Kottayam. Kottayam has acquired a special position in the pages of Indian history for its glorious past. The European powers had established their colony in this region and thus trade and commerce flourished rapidly and the city gained esteem in the economic scenario of India. The rubber and the coffee plantations make the city more inclined towards the trade and commerce of India. Kottayam is explored by thousands of tourists from different corners of the world. To suit every tourist’s choice and criteria there are varieties of hotels and resorts to cater to every need of the travelers. The Economy Hotels in Kottayam are well-equipped with all the major facilities. The hospitality and the service make your stay memorable and enjoyable. There are various tourist attractions in Kottayam like the Vembanad Lake, Pathiramanal, Kumarakom and backwaters. Kottayam is well connected by various modes of transports like rail, road and air routes. The Kochi International Airport is 76kms away from the city and is the nearest airport whereas the Thiruvananthapuram Airport is 160 kms from the city. The nearest railway station is 2 kms away. KRSTC offers various bus services that connect the neighboring areas with the city. Indiahotelandresort.com offers online bookings Economy Hotels in Kottayam, Kerala.